Doctor Who: The Moffat Scripts - WORLD ENOUGH AND TIME / THE DOCTOR FALLS | Warped Factor - Words in the Key of Geek. Dr. Moo is all out of spare parts. So we come to the series ten finale, a two-part story with two incarnations of the Master, a Cyberman origin story, two companion departures, the beginning of the Doctor’s regeneration, and some incredible sci-fi ideas thrown in for good measure. Where do you even begin to talk about a story like this one?! One of the key arcs of series ten was the rehabilitation of the Master as played by Michelle Gomez (here on referred to as Missy). This was a brave direction for Moffat to take things for the character but his writing was excellent and Gomez played it so well, which as a result worked perfectly. Opening World Enough and Time, the first installment of this two-part finale, we see scenes of Peter Capaldi's Doctor and Pearl Mackie’s Bill discussing if Missy could become good, so with Matt Lucas’s Nardole they pick a destination at random and set off to see what she can do. 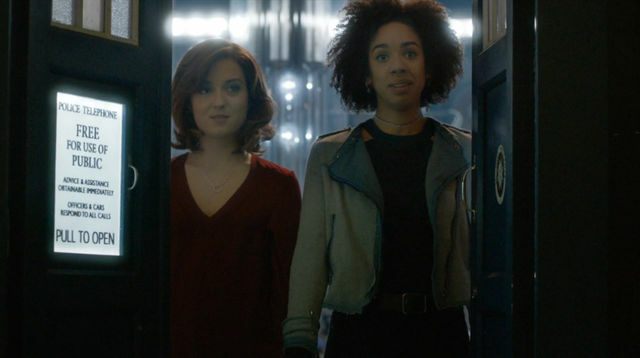 Cracking one-liners and revealing the Doctor’s true name, Missy drags Bill and Nardole with her around a spaceship deck before someone shows up and shoots Bill because she’s human. And she’s left with a big hole in her chest and dragged downstairs where she meets Mister Razor. He helps nurse her back to health over a period of years. Why years? Because time moves faster at the bottom of the spaceship since it’s orbiting a black hole and special relativity is happening, that’s why. A genius use of real life concepts to create drama, wonderful stuff! More like this please! When the Doctor, Nardole, and Missy arrive downstairs Bill has been taken in for full upgrading. 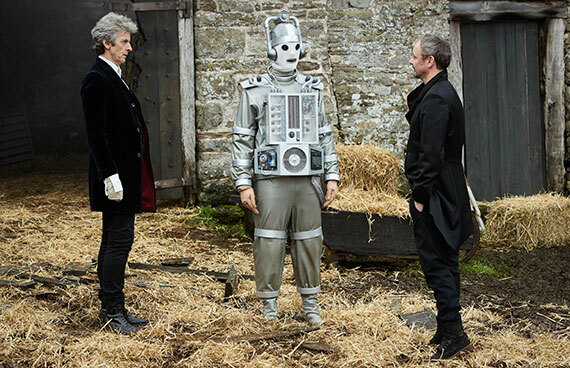 Turns out that Mister Razor is none other than the previous Master incarnation played by John Simm and he’s been working to create the Cybermen at their very beginning. This would’ve been a huge twist if both of these reveals hadn’t been spoiled in promotional material. This leads into episode two, The Doctor Falls, where suddenly two Masters are together to take on the Doctor. 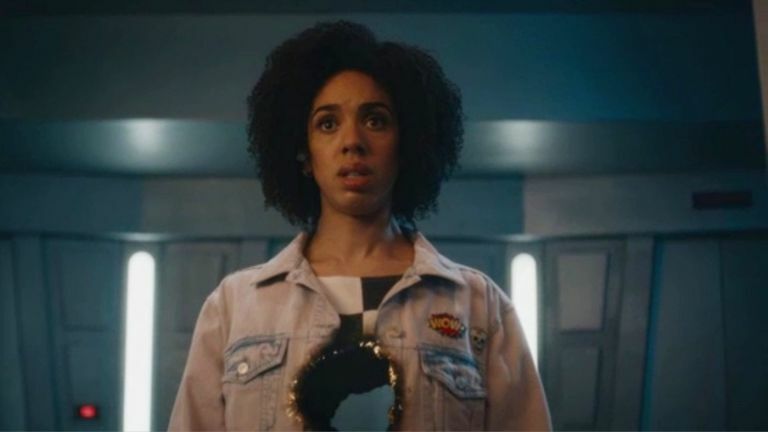 The only way that the three of them, Nardole, and Bill are able to escape is by the Doctor allowing the Cybermen to convert people with two hearts forcing the Masters to work with him as Nardole goes off to hijack a spaceship. 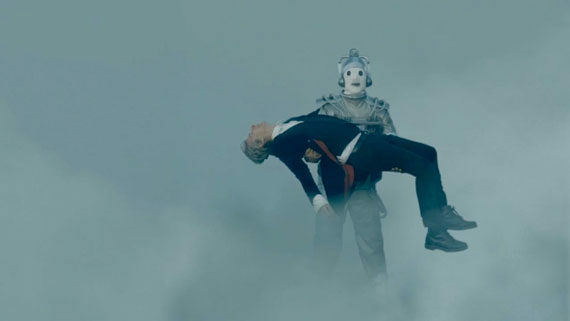 Unfortunately during this daring escape the Doctor is electrocuted by a Cyberman, and that’s it, Twelve’s fate is sealed. His regeneration is now locked-in. We then cut ahead to two weeks later. Bill as a Cyberman still seeing herself as a human in some nice unsettling moments, trying to figure out why she scares everyone. The Master giving her abuse over it. A farmer shooting at her when she enters the room. This is some seriously powerful stuff. If you’d shown me this image a year ago, I’d have dismissed it as a clever fake. The best moments in this story come from here on out. The Cybermen from below deck are making their way upstairs. The Doctor gives a passionate speech to each of the Masters to help him, but this falls on deaf ears as they both walk away. He’s left helpless and his oldest friend walks out on him at his most vulnerable moment two times over. Missy then tries to turn back and help but the Master won’t have it. She stabs him, not wanting to let him go on like that. He shoots her dead. 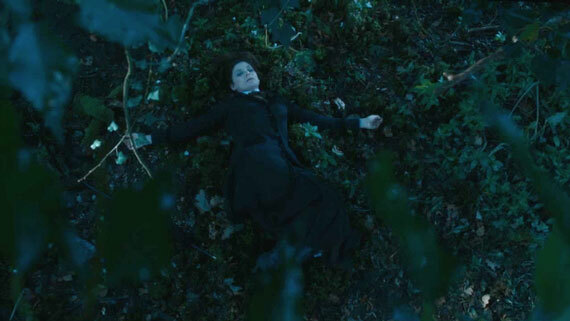 Both of them laugh as they each die, he going off to regenerate and she alone in the forest with the Doctor never knowing that she wanted to turn back to help him. Without witness, without reward. Two of the greatest ever TV deaths in one fell swoop. The Doctor decides that the only way to stop so many Cybermen is to blow up the entire floor, so he sends Nardole off with the residents to go up a few floors to safety. Nardole refuses, but the Doctor forces him. Some stunningly good acting from Capaldi and Lucas, the latter having well and truly defied the doubters with stunning performance after stunning performance. His final scenes involve him staring at the elevator waiting for the Doctor to come back but knowing he never will. It’s emotional and yet it seems so right for Nardole that this is where his arc ends. He’s come a long way to get here from the coward we met with Hydroflax to the selfless hero spending his life protecting a colony of humans. And with all that done, it’s just the Doctor and Bill. Bill, despite being a Cyberman, has hung onto everything she was before. Her parting words to the Doctor, before they each go separate ways to fight off Cybermen, are a reassertion of her gayness. That’s who she is, and she’s not gonna let Cyber Conversion get in her way. The story then shifts to the Doctor fighting off Cybermen on all sides, quoting several of his victories over them. This scene is glorious and the music from Murray Gold carries Capaldi’s spellbinding performance. You really can believe that the Doctor is remembering all of the encounters he lists off as he blows up Cyberman after Cyberman. Eventually a lucky shot hits him and he collapses. One last assertion of himself – “I’m not a Doctor, I’m the Doctor, the original you might say!” – before blowing up the entire floor. Cue Bill. Crying over Twelve’s dead body. Reducing the audience to tears because of the acting that Pearl Mackie does. It’s hard to watch for the best possible reasons. Heather returns. Surprise! Turns out that she’s been connected to Bill all along, and now that Bill has released a tear she can fully appear. She saves Bill from being a Cyberman and turns her into a literal fluid entity with her, and they together take the dying Doctor back to his TARDIS. Bill refuses to accept the Doctor is dead and leaves a drop of her oil on his head as she and Heather go to leave and see the universe. And the Doctor wakes up. He briefly hallucinates all the companions of the modern era (strangely without Mickey or Rory, even though Vastra and Jenny get included, for some reason) and then starts regenerating. But he won’t let himself, and holds it off. He’s finally found himself on this lifetime again and he’s not prepared to let go, especially not at such a low point. He doesn’t know how he got to his TARDIS, if Bill is okay, or anything like that. This isn’t a victory for him, not completely. He can’t hold it off forever though, and the TARDIS drops him off somewhere to prove the point. Stepping outside he begins to regenerate but manages to stop himself. He knows there’s no escaping it but he doesn’t want to. It’s regenerate or die and he’d rather the latter than become somebody else again. And then, as if to call out the hypocrisy, we see where the TARDIS took him. Out of the foggy antarctic landscape comes an old man. How about that for a Christmas lead-in! Good luck topping that one, Chibnall. So that’s the plot of World Enough & Time / The Doctor Falls. Most of the highlights lie in the second episode, the first being more of a slow-burner to an already-revealed pair of twists. How good a story is it? It’s a genuine contender for the best Doctor Who story ever made, that’s how good. The story and the themes it includes are all phenomenal and the fanservice works in favour of both. You really can’t go wrong with this one. In a word: Perfection. But not without loose ends. Bill needs closure. The Doctor needs to complete his regeneration. And there’s the small matter of the First Doctor showing up again.